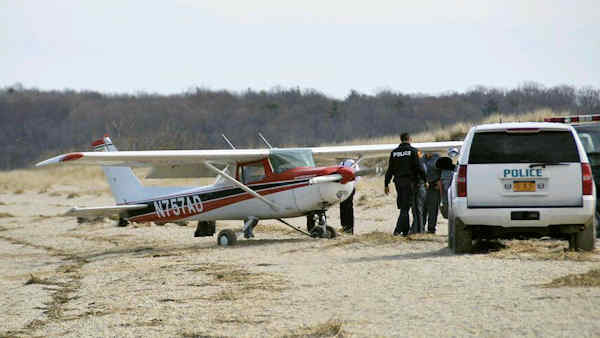 KINGS PARK (WABC) -- A small plane made an emergency landing on a Long Island beach Friday morning. The Cessna came down at Sunken Meadow State Park near Kings Park around 10:50 a.m.
Two people were on board, and no injuries were reported. The plane landed about 400 yards from the eastern parking lot at Sunken Meadow.